Maddie Slater (center) celebrates a point. The senior middle blocker and her teammates are seeking their first Big Ten victory Wednesday against Illinois. The Wildcats (7-9, 0-4 Big Ten) will try to snap their five-game losing streak as they host No. 24 Illinois (10-5, 3-1) on Wednesday. NU enters on the heels of a 3-0 home loss to Iowa, where the Hawkeyes dominated the Cats at the net, tallying a monstrous .413 hitting percentage and nine blocks in the match. The Fighting Illini are currently the ninth Big Ten team in the top 25. Coach Shane Davis said the team is looking to play a more consistent match. Illinois ranks second in the Big Ten at three blocks per set and proved its might when it took down No. 17 Purdue earlier this season. Fighting Illini junior Brandi Donnelly ranks fifth in the conference at 4.13 digs per set, and sophomore middle blocker Ali Bastianelli holds the top spot in the Big Ten at 1.86 blocks per set. Junior setter Taylor Tashima, who had 25 assists in the Iowa loss, said NU recognizes the Fighting Illini’s ability on both sides of the net. Preparing for a match against a ranked team and adjusting from a devastating home sweep, NU looks to produce positive energy and enthusiastic play. That’s where junior middle blocker Gabrielle Hazen comes in. Maddie Slater, a senior middle blocker for the team, said Hazen’s spirited style of play and resounding kills have helped energize the Cats when it needs momentum in a match. Wednesday’s match marks the first of three consecutive contests in which the Cats will face a ranked team. 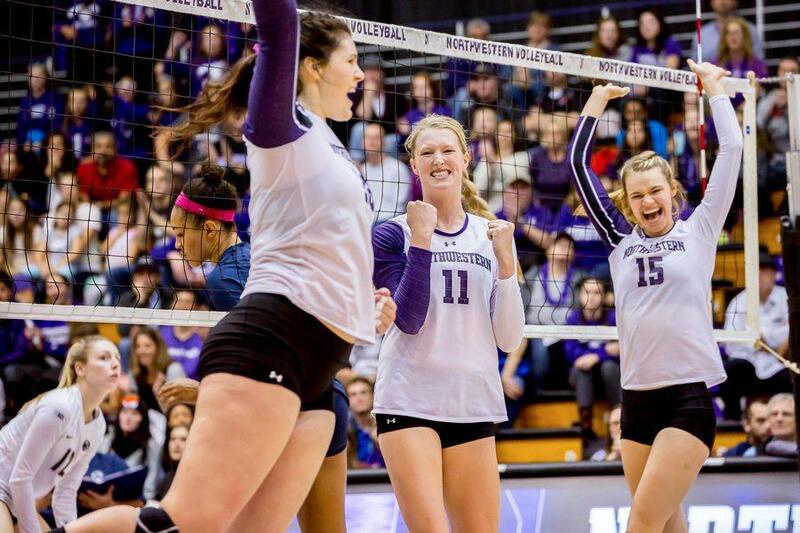 In NU’s sole match against a ranked foe this season, the Cats went down in a home-opening sweep to Penn State. Slater said for the team to remain poised and confident throughout the taxing stretch, it must take a piece-by-piece approach. NU’s most recent conference victory was a 3-0 road win over Iowa on Nov. 21 last year. Though the pressure of a possible first Big Ten win might loom over the team, Slater said the Cats are ready for this opportunity and are eager to have a chance to take down an in-state rival.